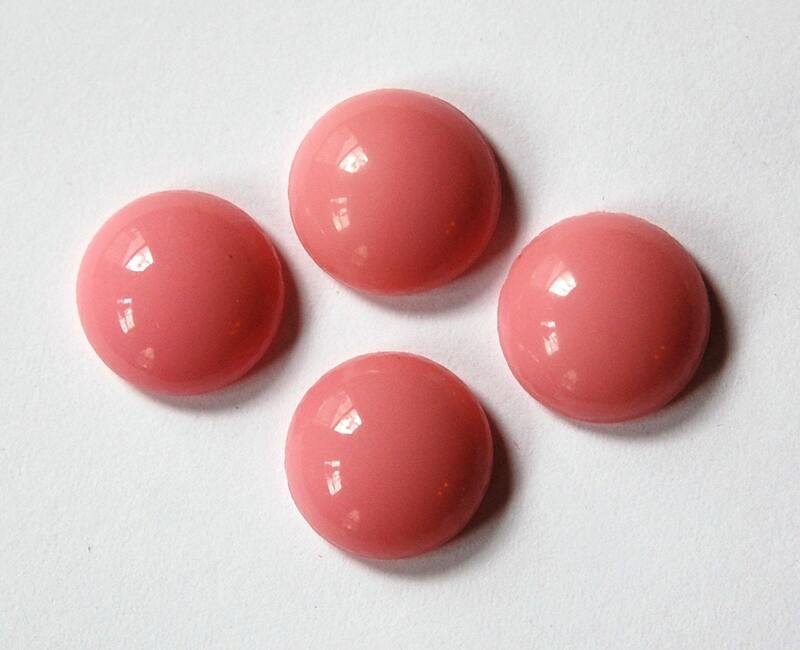 These are vintage pink glass cabochon. They are domed on the front. They have a concave back with a rim for gluing. 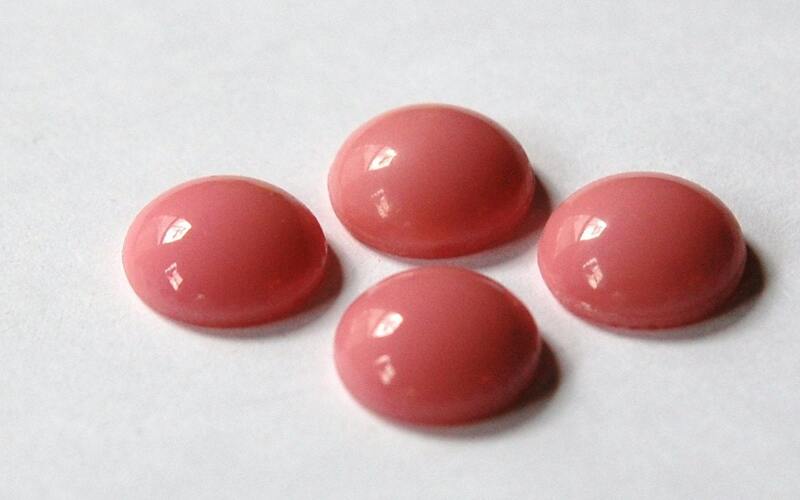 These measure 13mm round. You will receive 4 pieces.